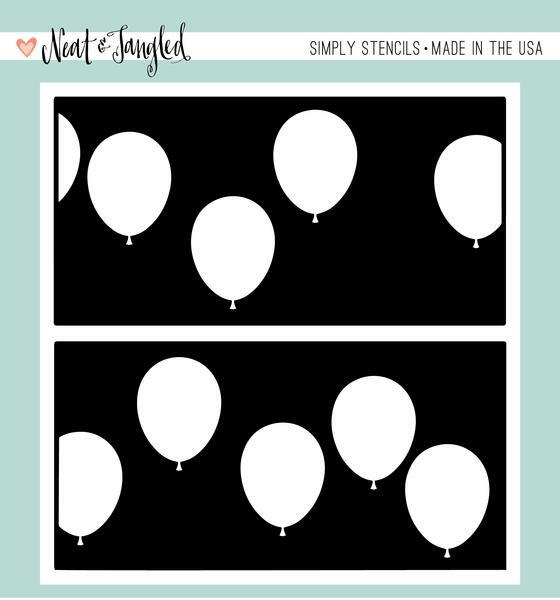 The Balloon Duo stencil from Neat & Tangled (paid full price/no affiliation) is a great little product. It's inexpensive ($6) and easy to use. Miriam Pratner designed this set of stencils. She's got a great eye for design! The trick to using these stencils is keep them straight (if you want your balloons to go in the same direction). Also, don't put the edge of the stencil, with a partial balloon, in the middle of a page (lesson learned...). I stenciled the front of the card with Distress Oxide inks onto Neenah Solar White cardstock, stamped the greeting from a Mama Elephant Birthday Wishes set, and added some color coordinated sequins. MOOD WHEN DONE = Happy!!! This is awesome! The colors are perfect! For some reason I just never make birthday cards...thanks for the inspiration. wonderful card Joan - i think you've just "made" me to buy this stencil!! This looks fantastic, Joan! Pretty sherbet colors with the big, bold sentiment. You sure did a good job of arranging those balloons. 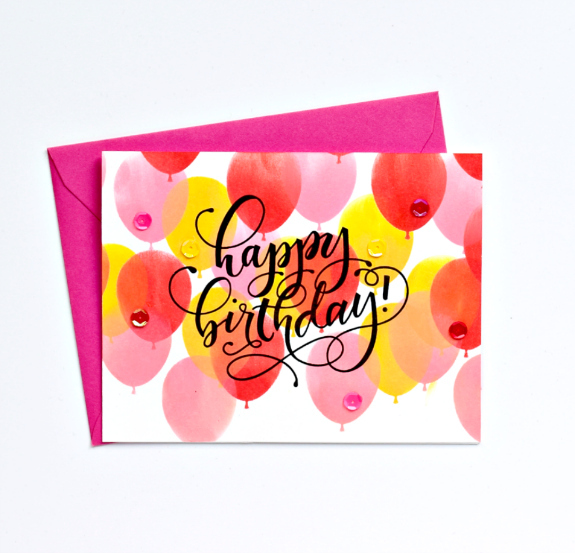 All the prettiest of balloon colors, Joan ... this would make anyone celebrate with a smile! even a birthday! Fun! And thanks for the tip, I can guarantee that I for one would try your "lesson" as well! LOVE! Such a happy card! Fantastically festive card Joan. Love it.